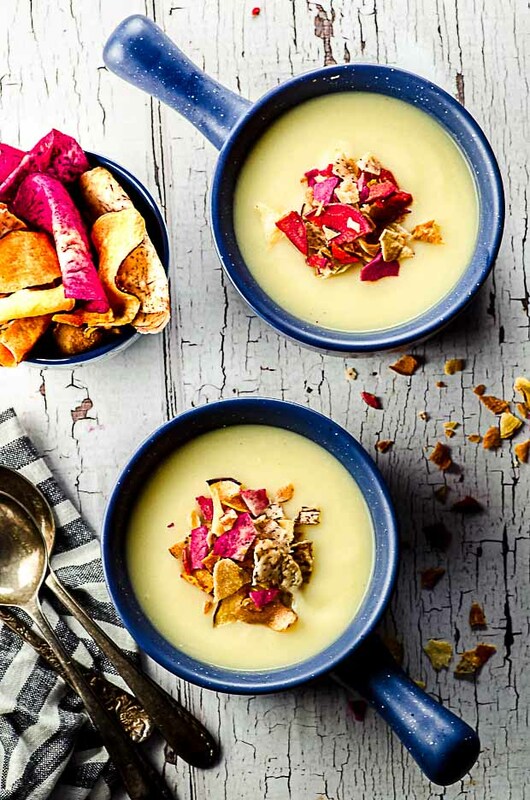 This creamy vegan parsnip and celeriac soup with Moroccan spiced pumpkin seeds is a warm and satisfying vegan option for Passover, Rosh Hashanah or any a regular weeknight dinner. I’m having what I think is a mild panic attack today. Ok, maybe “panic attack” is too big a term to use here… but I did just realize something. Passover is right around the corner. And for someone who is a vegan, that is somewhat panic-attack worthy. Because, what the heck does a vegan eat during Passover?! So, if you’re anything like me, and your festive meal at the Seder usually consists of matzah, haroset and celery dipped in salt water (yum), I think you’re going to love this celeriac soup. Creamy, filling, satisfying, vegan, gluten-free and kosher for Passover. Slightly better (and tastier) than the alternative, don’t you think? 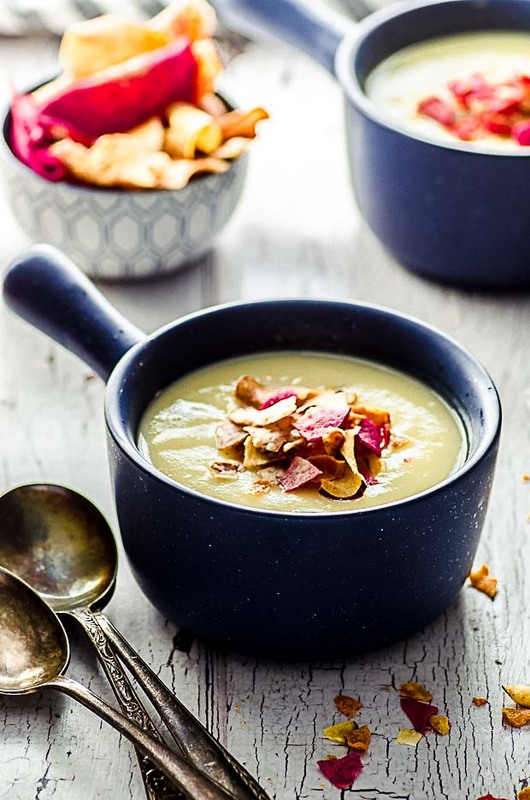 Did you like this celeriac soup? Leave us a rating! Did you love it? Share it or leave us a comment on Twitter or Facebook! Wanna see more? Subscribe to our blog and remember to follow us on Pinterest! By the end of passover everyone is just tiered of eating matzo ball soup so this seems like a grat recipe to change it up a bit! 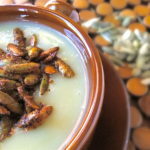 The pumpkin seed topping seems like a perfect kick! I love your pictures!!! This looks SO good–I especially like the garnish idea. Fyi–I have seen gluten free matzah but I haven’t tried it yet. Awesome recipe I really enjoyed this. No we are sorry, we don’t. I think there are some sites online that can do that for you. I started eating kitinyot for Passover a few years back and it’s been a game changer! Ashkenazi allow it now. Plus, I read that vegans always had special dispensation to eat kitinyot! 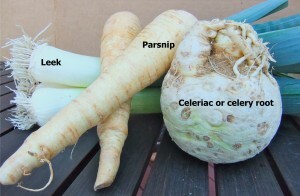 The creamy celeriac soup is delicious! Served it to a friend who is a cook and she loved. She cant eat pumpkin seeds so it was topped with some beetroot chips for colour and texture. (Cant wait to try the pepitas). Gave some to another person who raved. It made heaps so we have enough for more days, hooray! Thank you for the recipe!